Some close-up photos of the new Trail Bound Half Zip. Thanks to Ms. K. for the photos. I like it. must go check it out in person. 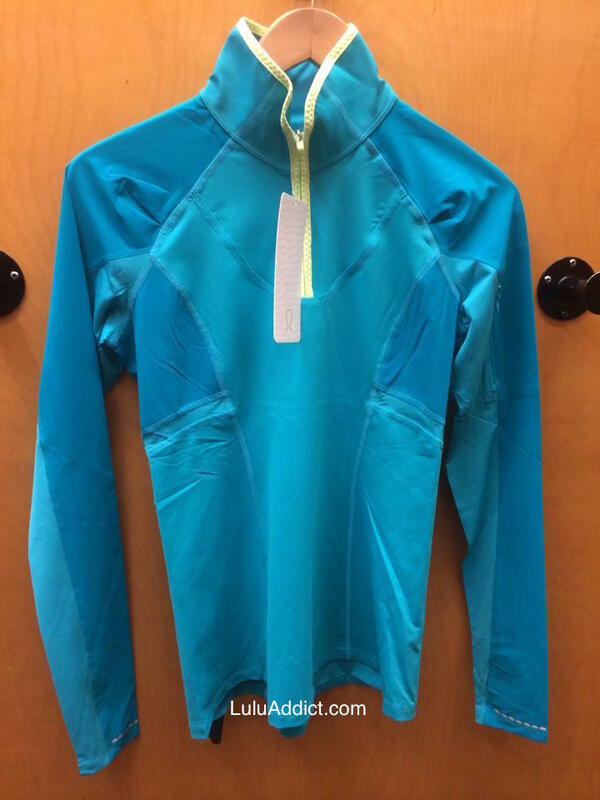 Looks like the most boring half zip in the world and hardly worth $98. Not even remotely curious and I love a half zip. 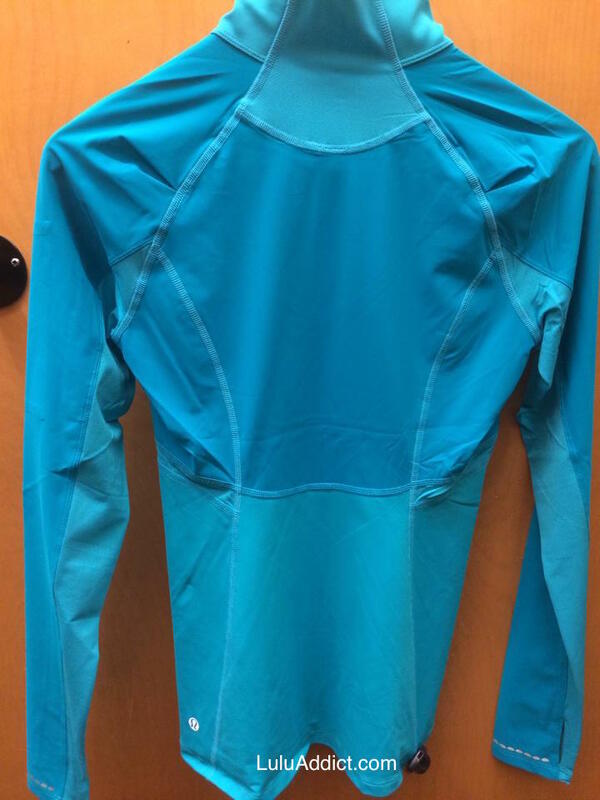 I saw it in person last night and it sort of feels like the swim material from last year. i don't think it fit right on me. I loved the pink color though. 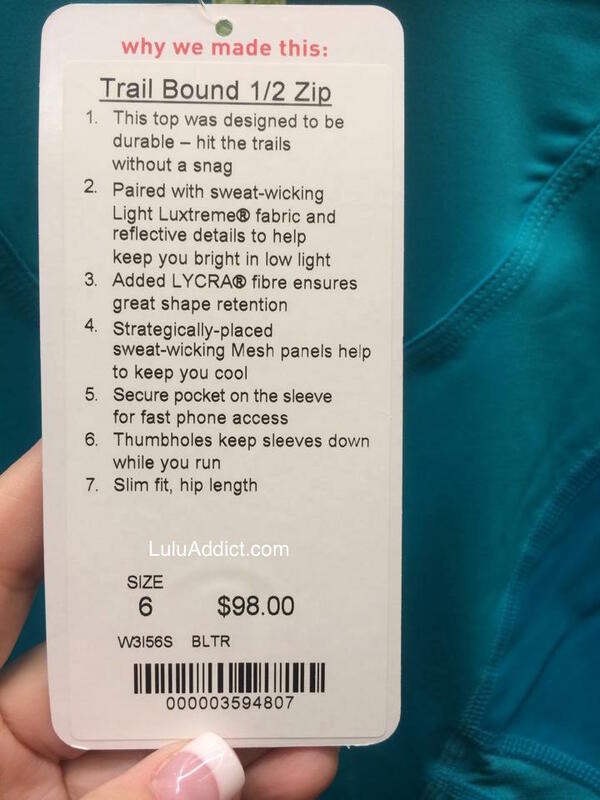 I would not want to get super sweaty in this top. @M - the ed at my store thought it was the swim material, too. I tried it on today and it was ok feeling. You can totally see the size through the pocket on the pink one. If it hits a sweet MD number I might cave and get it but I can live without it for now. yup LLA that is exactly what I thought, I'll just be patient.